Rev Gail served as guest presenter for class in social work on the topic of bereavement. Den meeting at church to work on ‘pew holders’ for sanctuary. All Day • Rev Gail will be visiting people in hospital and rehab in Southern NH and MA. 9am • First Floor, Parish House / Jackson Community Church. Beginning stretch, flow and align yoga; safe for new practitioners. Weather dependent; if schools are delayed or closed, the class will be cancelled. Cynthia Nelson and Kathy Black of NH DES will present on several of the State’s programs designed to help improve the energy efficiency and resource waste. The NH Pollution Prevention Program is a free, confidential, non-enforcement, pollution prevention and compliance assistance program available to all NH businesses, institutions, municipalities and agencies. The presenters will also discuss the NH Green Hospitality Program, which is designed to recognize and promote businesses doing their part to reduce energy use, conserve water and reduce waste. The Green Hospitality Program is free and open to all restaurants and lodging facilities in New Hampshire. Come meet the artist, see his work and mingle with friends! Stay for the great birding program that follows. Join Charlie Nims on a pictorial exploration of the birds of Trinidad& Tobago from his recent travels. 6:30pm • Second Floor, Church. Morning • Rev Gail will be making pre-arranged visits. 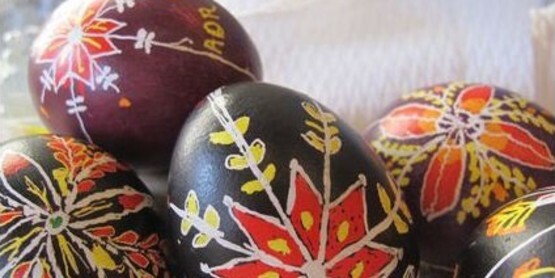 Decorate your own holiday egg in the distinctive Ukrainian pysanka style, using wax-resist method on real egg. Melt beeswax over a candle, draw lines of way on a raw egg with a traditional waxing tool, dip the egg in dye, and watch your pattern appear. The finished eggs will be vernished and hollowed, creating a permanent keepsake. Space is limited please register at: whitneycommunitycenter@gmail.com. The streams and ponds are opening up and ducks are returning. We’ll explore the old course of the Saco River and other open water in search of wood ducks, hooded mergansers, common golden eyes, and other early migrants. Bring binoculars and we’ll bring the doughnuts! Call 603-447-6991 for reservations. 8am • Old Library. Hot beverages available. Come for poetry, literature, conversation and prayer. Games and faith formation followed by intergenerational choir practice. Prep for singing and participating in worship at 10:30am. Ellen Schwindt works with church choir. Drop-ins welcome. 10:30am • Jackson Community Church with Palm Procession by children & families. Learn about poetic forms, and write your own poetry with professional poet, Sarah Audsley. Next PostNext Reflection on cries for help & rescue: the meaning of Hosanna.